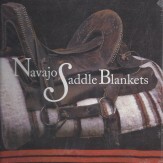 The horse in Navajo culture served many purposes. 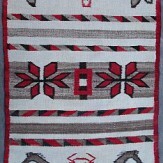 Creation stories begin with horses, and the Sun Being is said to cross the sky on one of his many-colored ponies – pearl for morning, turquoise for daytime, grey or red for storms, black for night, yellow for sunset. 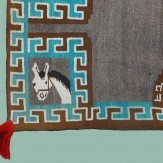 Horses were also believed to have been supplied to the people for sustenance when nothing else was available. 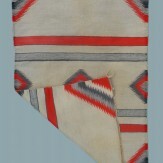 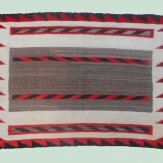 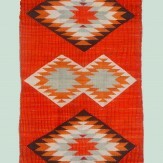 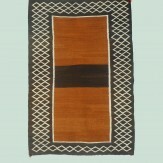 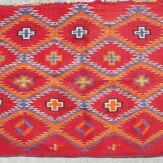 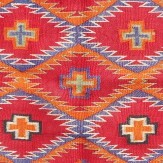 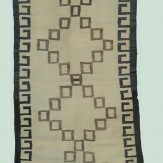 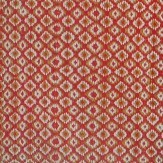 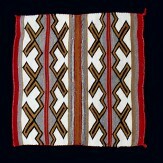 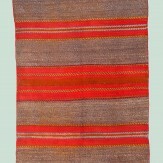 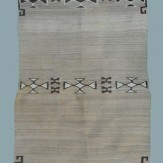 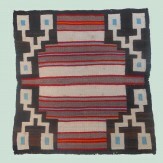 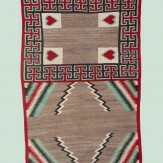 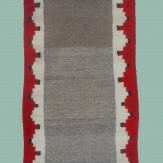 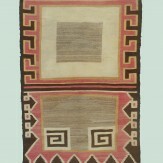 The saddleblankets Navajo wove for these sacred creatures reflect the complexity of their relationship; moreover, the Navajo saddleblanket virtually saved a people when the cowboys of the 1880′s discovered that the weavings were the absolute best way to keep their horses’ backs from getting sore. 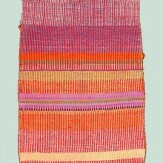 Cayuse gathers a selection of these utilitarian works of art that documents a passing of time. 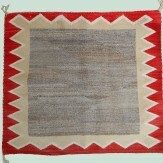 Through September 30th.